Good quality. Easy to fit. Quick delivery. I ordered this product and it came promptly two days later. It fits nicely in the car and altogether I am impressed and well pleased. Delivered within a couple of days of ordering. Great value with a very competitive price.Have used this company every time I change the car.In my opinion they can't be bettered. 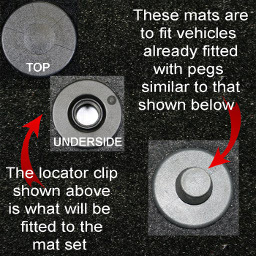 Click the button below to add the Vauxhall Viva (2015 to Current) Tailored Car Mats to your wish list.